An unforgettable holiday experience – welcome to Sivle! Kårastova at Sivle has recently been restored, the house dates back to approximately 1750. The house was originally constructed in timber, later extended and raised to a second floor. We have been able to expose some of the old timber walls so as to show the old combined with the standard of today. 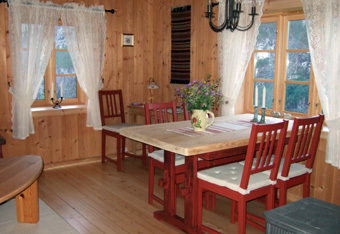 You can enjoy a fantastic view sitting at the long table in the living room, with Stalheimskleiva below and the village of Stalheim and the valley of Brandset directly opposite. On the ground floor you enter a spacious hallway, with a slate floor and underfloor heating. 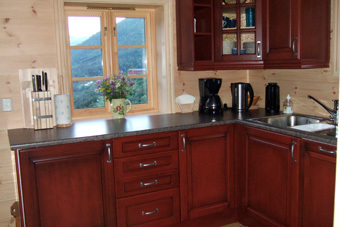 The kitchen is nicely fitted with an integrated dishwasher and fridge and well equipped with various tableware and other aids. The living room contains a long table, corner sofa and a wood fired stove. 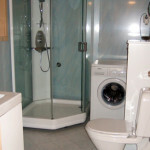 The bathroom contains a toilet, shower cabinet and washing machine and has underfloor heating. On the first floor there are 3 bedrooms: the red room has a 120 cm bed, the blue room has a single bed and one 120 cm bed and the green room has a double bed (150 cm). In the hallway there are cupboards for the use of visitors. 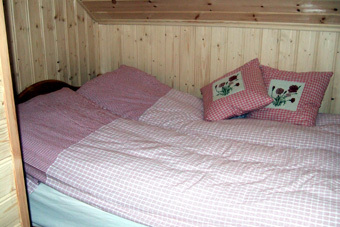 The bedrooms have a total of 7 beds with good mattresses. In addition the corner sofa in the living room can be used to sleep two. Sivle Gard has a mountain farm at Berdalen. 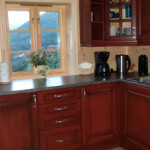 The mountain farm can be rented for those who want a holiday in magnificent nature, for activity and recreation. The mountain farm is in an excellent location, giving possibilities of many summit walks in the surrounding area, both summer and winter. In the summer you can drive all the way to the mountain farm, you can drive via Brekkedalen or Jordalen. During the winter you have to use the road to Jordalen, park at Nåsen and ski the rest of the way to the mountain farm. 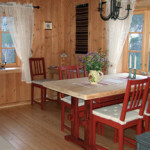 The mountain farm is a newly constructed timbered (cogged) cottage, containing 2 bedrooms with accommodation for 5 persons and a half loft with accommodation for 3-4 persons. And it is of course possible to sleep on flat beds in the inner room. 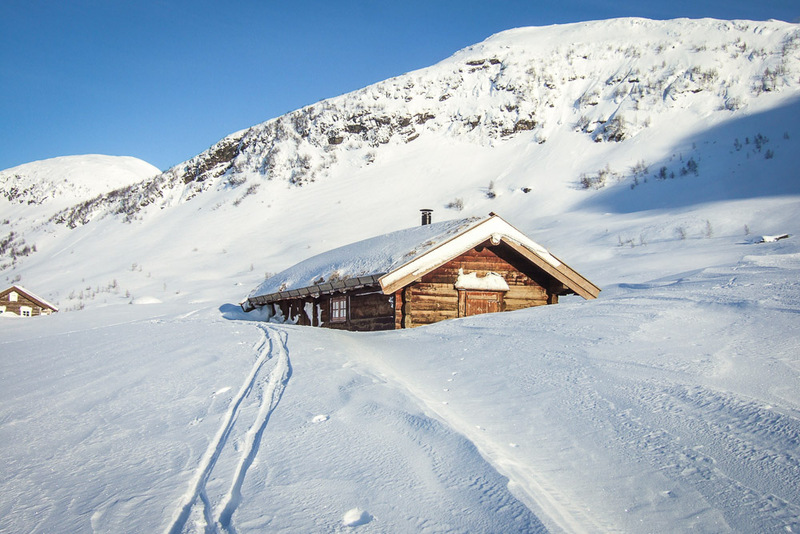 There is no plumbed-in water; cooking is done using gas or firewood, there is a wood stove for heating and an outside toilet. Minimum hire time is 2 days. For a longer stay ask for a quote. 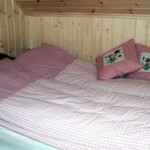 Winter holiday – Easter holiday – Christmas/New Year ask for a quote. Electricity is included in the price. 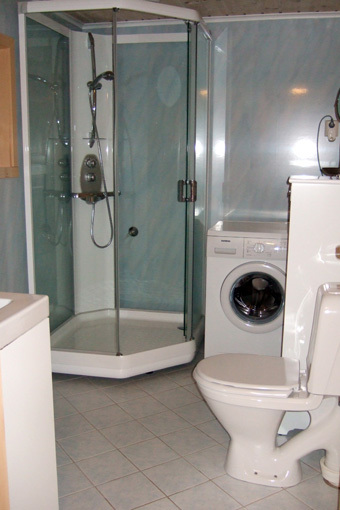 The house is equipped with washing powder, coffee filters, cleaning cloths, kitchen towels and toilet paper. Ready for hire during the winter 2016/2017. Ask for a quote. Simple standard, “but exclusive”, quiet and peaceful; stay in the middle of beautiful terrain for walks or skiing during summer and winter. The mountain farm has no plumbed-in water, uses gas/wood for preparing food, wood for heating and has an outside toilet.